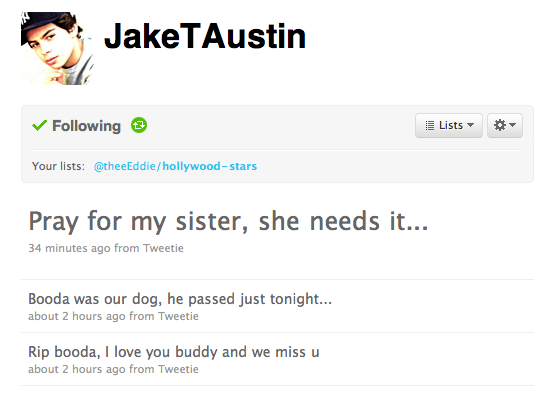 Teen actor Jake T. Austin tweeted earlier tonight that his beloved dog “Booda” has passed away. The name Booda’s Fortune, Jake’s and Cristian Fortunes Youtube channel, was actually inspired by Jake’s dog. Here is an exclusive preview of designer Lauren Elaine’s Black Label Accessories line, which will be unveiled tomorrow, January 16, 2009 at La Maison De Fashion in Los Angeles, California.